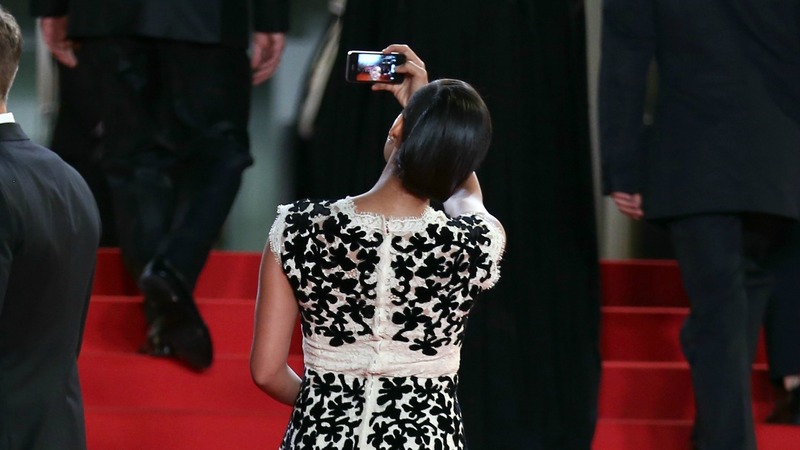 Cannes Film Festival director Thierry Frémaux may not have the power to enforce a complete ban on celebrities taking selfies on the red carpet, but he’s doing his very best to stop it happening when the A-listers descend upon the French city in a few weeks’ time. Well, Kim Kardashian might argue with that statement but it’s true that we’re growing accustomed to seeing selfies popping up on celebrities’ social media accounts, mere minutes after they’ve walked the red carpet. And even press shots of stars caught in the act of snapping themselves, like Rosario Dawson at last year’s Cannes Film Festival (above). We totally get why celebs want to take some control over the images of them that end up online and engage directly with their fans over social media. Perhaps, as a compromise, they could restrict their selfie activity to the Cannes after parties? After all those are the pictures the world really wants to see.